The two men accused of the shooting murder of 10-month-year-old Mozari Lee and the attempted murder of his parents Mozart Lee and Shelly-Ann Durham were freed of the charges on Tuesday. Martin âJahsonâ James and Recardo âShrekâ McFee had the charges against them discharged at the Serious Offences Court after the Crown failed to provide evidence to place both men at the scene of the crime, where the three members of the family were shot on October 7, 2016. Last week Wednesday, April 19, eight persons, including Mozart and Shelly-Ann, testified in the Preliminary Inquiry (PI). However, none of the witnesses identified the Villa residents as the shooters. In light of this, senior prosecutor Adolphus Delpesche asked that Monty Hillocks, a man who escaped unharmed from the area during the shooting, be made to testify. However, on Tuesday when the PI resumed, Hillocks was a no-show, forcing the Crown to put the investigating officer, Inspector Sherol James, who is also the head of the Criminal Investigations Department (CID) in Calliaqua, on the witness stand. Inspector Jamesâ testimony took the court through the investigation process, but instead of strengthening the Crownâs case, the testimony of the 30-year police veteran pointed to the alleged shooters being at a shop in Glen during the shooting. In turn, lawyers Israel Bruce and Grant Connell, who represented accused McFee and James, respectively, both made no-case submissions. Bruce told the court that McFee had no case to answer, as the Crownâs case rested primarily on the evidence of Mozariâs parents, witness Randy Humphrey, PC Campbell and Inspector James, who failed to assist the prosecution in placing the men at the scene. The defence lawyer reminded the court that as part of her testimony, Shelly-Ann said the area was dark and she was sitting with Mozari about five feet away from Mozart, however, could not tell who shot them. Bruce also went back to Mozart Leeâs testimony, which told the court that the gunshot he received knocked him to the ground, at which time he pretended to be dead and could not tell the court who shot him, his girlfriend and their son. The lawyer further pointed out that Randy Humphrey, who worked with Mozart, said he heard the shots and threw himself to the ground and also could not assist the court in determining who shot the three family members. The court also heard that PC Campbell briefly combed the scene and then handed over the investigation to Inspector James and according to Bruce, PC Campbell also could not assist the court. Bruce also pointed out that Inspector James told the court that it was âconfirmedâ that McFee was where he said he was (liming at a shop in Glen) and was not at the scene of the crime. 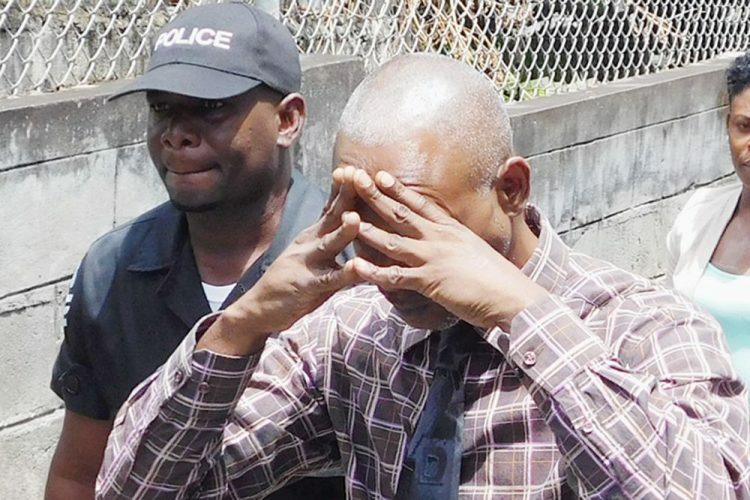 âI invite this honourable court to find that there is no evidence to ask Recardo McFee to stand trial for the murder of Mozari Lee and the attempt on Shelly Ann and Mozartâs life,â Bruce added. Connell made a similar submission on behalf of accused James, while describing the investigation as a dismal failure. He said, âThere is absolutely no evidence at all to substantiate a charge of this nature against Martin Jamesâ. According to him, the evidence is a manifestation of the investigation techniques and procedures âin what we call our police forceâ. âIt is sad that a citizen would spend months in prison without any evidence to substantiate a chargeâ¦ it is sad,â stressed Connell. He went on to state that the court is now privy to the poor investigation techniques of the local constabulary. âPolice have a duty to society to find and charge the right people, from Glen Jackson right up to Mozart Lee,â said Connell, who stressed that the shooter is certainly not James. However, the senior prosecutor, who did not argue that the matter be sent to the High Court, defended the police officers and refuted Connellâs statement which described the investigation as a dismal failure. âInspector James did a marvellous job,â he asserted. In turn, the Chief Magistrate agreed with the defenceâs submission and discharged the matter.